In episode 33, Rosie and Jessica welcome you to the magical world of Brussels, home of the EU, waffle incidents and foreign televisions showing BBC One. Also a statue of a weeing child. 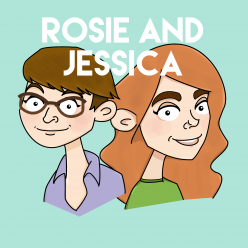 Back from their gallivanting, it’s time for Rosie and Jessica’s Year of Fun, featuring not only a round up of the year but also a quiz that mainly centres, for one person in particular, on really frightful puns.